For customers signed up through ADP RUN and the ADP Marketplace. This guide will walk through the cancellation process for ADP RUN customers who have purchased a Deputy subscription through the ADP Marketplace. First, navigate to the ADP Marketplace with your RUN credentials. 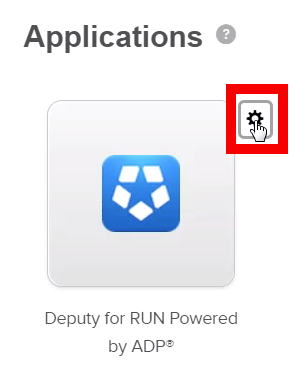 On the next page, hover your mouse over the Deputy icon and click the gear icon that appears. In the drop-down menu that appears, click 'Manage App'. On the next page, click 'Cancel Subscription'. A warning message will appear. To confirm the cancellation, click 'Yes'. 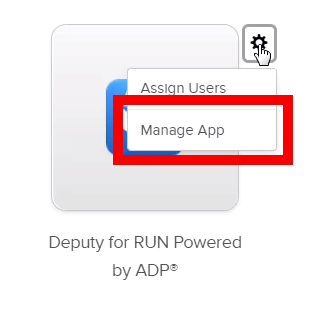 Please note, as mentioned in the image above, you will no longer have access to Deputy, and ADP DO NOT provide refunds on paid subscriptions. The next page will bring you back to your list of apps, with a confirmation of the service cancellation.